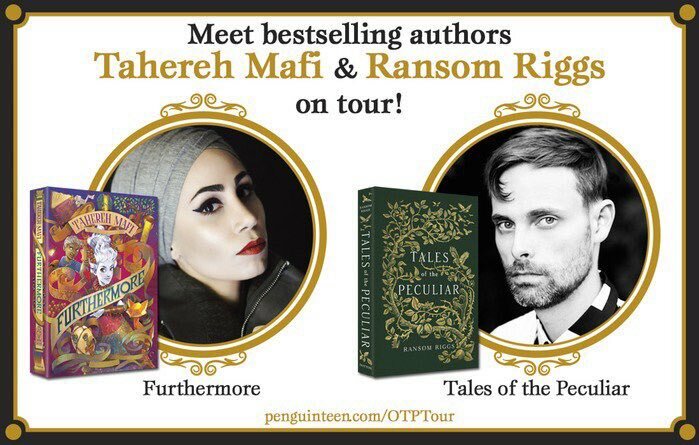 Tahereh and I are going on tour for our brand-new books, FURTHERMORE and TALES OF THE PECULIAR. Click here for a list of dates and cities. Also, on the date of TALES OF THE PECULIAR’s release — September 3, also known as Loop Day — I’ll be appearing at FIVE bookstores in and around San Fransisco! More info about that here.